Jennifer Godin (jenniferblender) created T56733: 2.8 Fill Area only fills visible area. Jennifer Godin (jenniferblender) added a comment to T41412: Viewport view rotation gets messed up after moving window with titlebar. More information needed about your system. If you have another mouse try that. I think you were on BlenderStack exchange asking about the Logitech 510. I'm using Logitech 505. Jennifer Godin (jenniferblender) added a comment to T38542: Bevel Edges Roundness mistakes: angle wrong with meshes that have faces with different measures. Jennifer Godin (jenniferblender) added a comment to T40971: Environment maps cause a hard crash with OSL enabled. Works fine now on OSX 10.9 for both this blend file and one from T41123. Jennifer Godin (jenniferblender) added a comment to T41123: Add Transparent Shader to Mix Shader with Material Panel open equals crash - OSL segtfault?. My Windows 8.1 version works okay using the latest build e0d8e62 of Jul 19. So must be a Mac thing. Crashes on my OSX 10.6.8 older mac, and the newer 2011 OSX 10.9.3 one as well. Last version I had worked okay, it was 7-10-14 hash a1aa969. Jennifer Godin (jenniferblender) raised the priority of T41123: Add Transparent Shader to Mix Shader with Material Panel open equals crash - OSL segtfault? from to Needs Triage by Developer. Jennifer Godin (jenniferblender) raised the priority of T40800: If Viewport shading is 'Rendered', B3D crashes after browsing to file for texture node and connecting to any shader node. from to Needs Triage by Developer. Jennifer Godin (jenniferblender) raised the priority of T40754: Create Camera Image Plane creates plane at odd angle to Camera. from to Needs Triage by Developer. Jennifer Godin (jenniferblender) added a comment to T40629: Dynamic Space Bar adds Lattice instead of empty after adding at least one lattice object. Menu act correctly though..
Jennifer Godin (jenniferblender) raised the priority of T40629: Dynamic Space Bar adds Lattice instead of empty after adding at least one lattice object. Menu act correctly though. from to Needs Triage by Developer. Jennifer Godin (jenniferblender) raised the priority of T40433: Buildbot not updating OSX 64 from to Needs Triage by Developer. Jennifer Godin (jenniferblender) raised the priority of T39848: 'Reroute' from 'Layout' in compositor causes no output from viewer from to Needs Triage by Developer. Jennifer Godin (jenniferblender) added a comment to T39834: Split Viewer node is broken (works in 2.7). @Kévin Dietrich (kevindietrich) If I knew it was a different bug I would have reported it. I thought it was the same issue, just wanted to add symptoms to what looked like one bug. Jennifer Godin (jenniferblender) added a comment to T39840: Cycles Motion Blur is broken. I think it is still not enabled. "Currently scale motion is not supported, only object transformations like translation and rotation. " I have that problem just with the 'viewer' node. It updates and displays though if you just drag a line from say 'alpha' or 'Z' closure on the Render layers node. The line don't have to go anywhere, just drop it and it updates. Jennifer Godin (jenniferblender) added a comment to T39362: Problem with boolean modifier and/or "limited dissolve". Oh, after adding cubes do the Union in Boolean. (forgot to add that step). I do see the error here. Edit> select face of 'arms' at the end, delete, select next, delete. Do all four. Only two faces actually delete. The other stay there and can't be selected. Jennifer Godin (jenniferblender) added a comment to T39196: Dynamic Topology Undo Applied to Wrong Mesh. Jennifer Godin (jenniferblender) added a comment to T39176: Zooming in can get the view stuck in certain condition. I see that happen on 2.66 where you need to hit "." to correct it. But on the latest release of 2.7rc2 I don't see that on OSX. If you hit "." does that let you zoom in further? Jennifer Godin (jenniferblender) added a comment to T39163: Enable Ruler button crashes bender. I agree. There is also the 'measure panel' addon that works quite well. Yes, crashes in OSX as well. Bug should be reported in Addons though. Crash log and pic of error attached. Jennifer Godin (jenniferblender) added a comment to T39034: sculpt mode show brush.. Yes, I see it happens as far back as 2.65. 'Show Brush' should really hold user selection between modes. Jennifer Godin (jenniferblender) added a comment to T39029: Blender Internal: Render tiles do not appear until render is finished if Save Buffers enabled. Jennifer Godin (jenniferblender) added a comment to T39031: Large circles in Cycles viewport render. You have one plane exactly on top of another. If you remove that plane or move it the circles go away. Jennifer Godin (jenniferblender) added a comment to T39030: Backwards compatibility with 2.70 and 2.69 and lights. Maybe there was a bug in 2.69 and now it's fixed. Backwards compatibility is not very important. If there is a bug with 2.7 that is important. Jennifer Godin (jenniferblender) added a comment to T38962: Boolean modifier - intersection fails for Suzanne and a cuboid. For me this bug works just by adding cube, add monkey, add boolean to monkey (leave default intersect) choose cube, crash. Jennifer Godin (jenniferblender) added a comment to T38960: Sub-divide edge and pressing F6 key crashes blender.. Yes, that was fixed in T38742. Try the latest build from BuildBot. 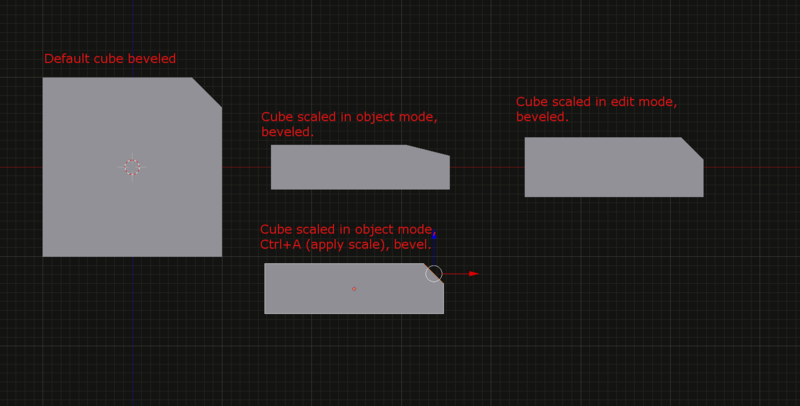 Jennifer Godin (jenniferblender) added a comment to T38939: Bevel in edit mode. . Yes, confirm that is breaking in 2.7 release candidate. If you download the latest build from BuildBot you will see it is fixed. So to clarify, you are saying it is broken on 2.69.7, but works on 2.7 4789793? Jennifer Godin (jenniferblender) added a comment to T38913: Game engine crash with Arraymod + cap-object. Jennifer Godin (jenniferblender) added a comment to T38861: Text Malfunction In Image Editor. Jennifer Godin (jenniferblender) added a comment to T38742: Mac OS: Crash in Popups. Hmm, I could not make it work in Terminal either. on a button on a pop up (a crashless button) it will give you an error of "Active Button Not Found"
the box type that has two arrows on the right, one up, one down. (I guess it's still called a 'dopdown' box even if it drops up). Same box on UV editor and two different F6 pop ups. So that pop up with that box is consistent with this crash. Jennifer Godin (jenniferblender) raised the priority of T38742: Mac OS: Crash in Popups from to Needs Triage by Developer. Jennifer Godin (jenniferblender) added a comment to T38677: Using Boolean with cube/UVsphere, union or difference, Beautify Faces with that result in crashes. (does not do with any other shape, only UVsphere). Jennifer Godin (jenniferblender) raised the priority of T38677: Using Boolean with cube/UVsphere, union or difference, Beautify Faces with that result in crashes. (does not do with any other shape, only UVsphere) from to Needs Triage by Developer. Jennifer Godin (jenniferblender) added a comment to T38276: View Object in Edit Mode/ Perspective Mode will not occlude geometry..
Ah, I see, yes you are right. The clip distance when set the same in 2.68 does it as well. Moving it to start at 1cm instead of 1mm gets rid of that. Jennifer Godin (jenniferblender) raised the priority of T38276: View Object in Edit Mode/ Perspective Mode will not occlude geometry. from to Needs Triage by Developer.